Hormel® Customer Service Is Sour - Really! We don't buy bacon often. If we do, it is typically from a farm. If not bacon from the farm, then we buy Hormel® Natural Choice® Bacon. I have also looked into buying meats from Organic Prairie. They send us coupons for the dairy products and run monthly specials on their meats. I'll make sure to let you know how they taste if we decide to try Organic Prairie. Regardless, the Hormel® Natural Choice® Bacon is 100% natural meat - nitrate free - without any flavors, colors and preservatives. It tastes really good and we typically split a package into two meals. Anyways, this is not a plug for there bacon. I am actually writing about my experience with their product and company. We discussed that three of us would each get 2 pieces and the baby would probably eat just a 1/2 piece of bacon. This is how it typically goes and we put the rest in the freezer for another meal. 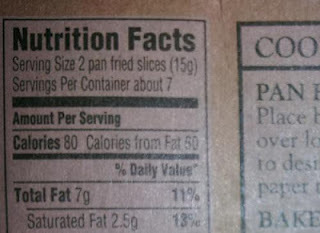 We read the package as serving counts are 2 slices for 7 servings. This was not even close to the case today. We had to cook the whole package because it did not make sense to save 2 extra pieces. I decided to call Hormel's customer service about this. It is kind of skimpy to charge full price for bacon that only serves for one meal. It's not like the Hormel® Natural Choice® Bacon sells genuine organic bacon like Organic Prairie (www.organicprairie.com) does nor that the meat came directly from a free range farm. The Hormel® Natural Choice® Bacon is packaged meat from the grocery store. The competitors brands do serve us 2 meals. The woman said "does the package say About 7", in a sour voice, so I took another look at the package and it did. I told her that I did not even notice the word "ABOUT" and was going more so by the recommended serving size. She cut me off to say that "You're getting a full pound of bacon. It is not always cut the same". That was it. Cut and dry. The call had a tone that she did not even want to deal with my call and ended with a dry, "I will relay the message". OK, first of all, who writes that servings per container are "about 7" when we barely had 5 servings. How funny! Secondly, they sure did not have the perky and happy customer services I expected. The Hormel® customer service representative was sour and in comparison to Organic Prairie's customer service that is sweet and peppy. I rarely call customer service for any company, but since going natural / organic foods a few months back, I like to know how the company is, too. I really like how easy it is get Hormel® customer support on the phone. I used the 1-800-523-4635 number that was on the bacon package. There was barely any time waiting for the customer service at all! On the other hand, it sure would be great if they had some happy, enthusiastic, people answering the phone. The one I spoke with made me think that she is miserable in her phone job; not what a company would want to project at all. 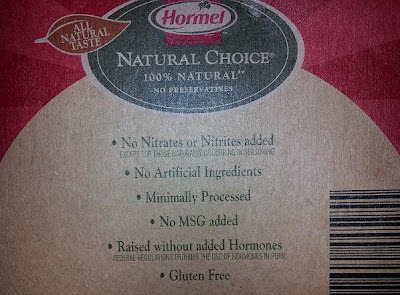 Hormel® Natural Choice® Bacon is tasty for sure, but I think the Hormel® customer service is sour. This is my 1st food product / company review. Please use the comment section for your feedback, as well as sharing whether you have ever called Hormel® and what the experience was for you!